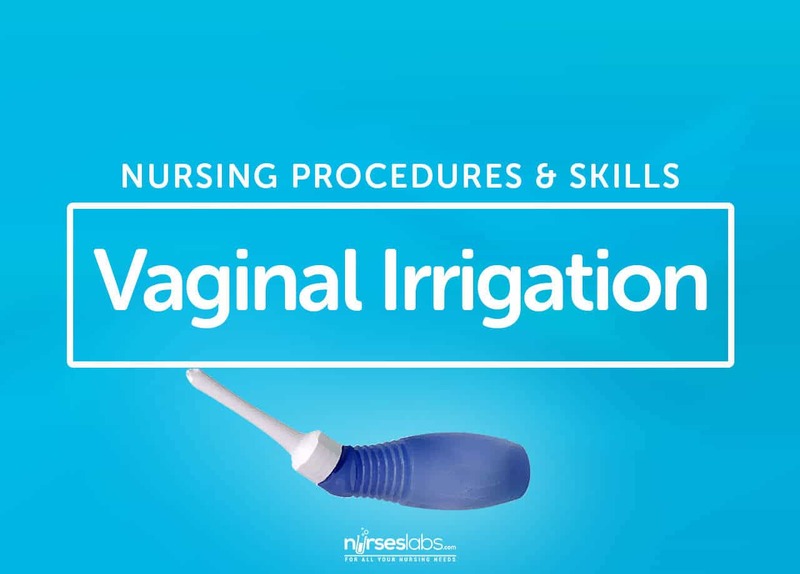 Vaginal irrigation or vaginal douche or douching is the injection of fluid either plain or medicated into the vaginal canal under low pressure to facilitate cleansing of the vaginal tract. Mechanical cleansing of the vaginal tract and the cervix as in leukorrhea. To help remove any foul odor that may be present. To cleanse and irrigate the cervix after cauterization and at the same time to reduce the swelling and promote healing. Pre-operative procedure on most patients having the type of gynecologic surgery. Never perform vaginal irrigation or douching without doctor’s order. Never give during pregnancy or menstruation. Conduct of the procedure should be with all regards to the patient. Examine douche nozzle for any chips before using. Scrub hands before and after the procedure. In giving to gonorrheal patients, wear gown and use gloves and goggles. Use smaller nozzles for virgins. Test temperature of the solution before using. 1. Bring all preparations to the bedside. Wash your hands and don gloves. 2. Screen the bed. Replace topsheet with bath blanket. 3. Slip the bed protector under the patient’s buttocks. 4. Assist patient onto bedpan. 5. Position and drape patient. 7. Hang the irrigating can covered about 2 feet above bed level. 8. Attach douche nozzle to the end of the tubing. Expel the air. Test temperature of water by allowing solution to flow at the back of the hand. 9. Insert the nozzle gently downward backward while the solution is flowing. Gently move the nozzle around during the process. 10. Before all solution runs out clamp and withdraw the nozzle. Disconnect and place in kidney basin. 11. Let patient stay on bedpan for a while to drain excess solution. 12. Remove bedpan and dry area thoroughly. 14. Take preparation to lavatory. Examine contents of bedpan before throwing into hopper. Clean and keep all equipment in their proper pieces. Document the treatment, time, amount, kind and temperature of solution used and character of the return flow.